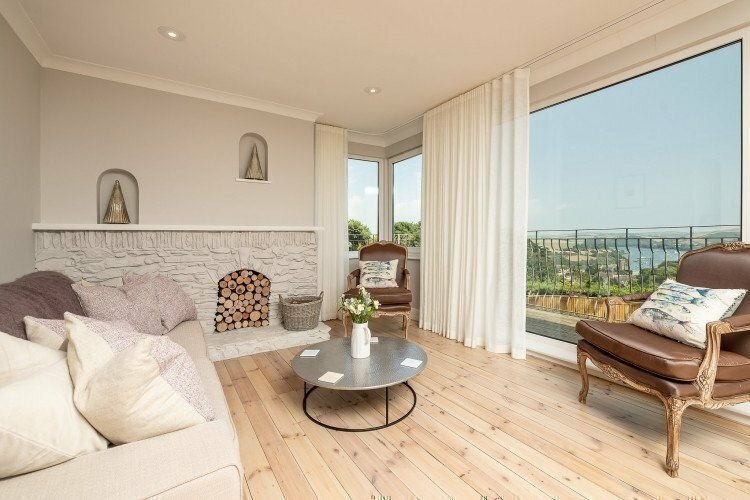 When Nicola Hooley purchased her four bedroom property, Mapperley Lodge in Salcombe, it had all the makings of an exceptional holiday home, but Nicola needed help along the way. 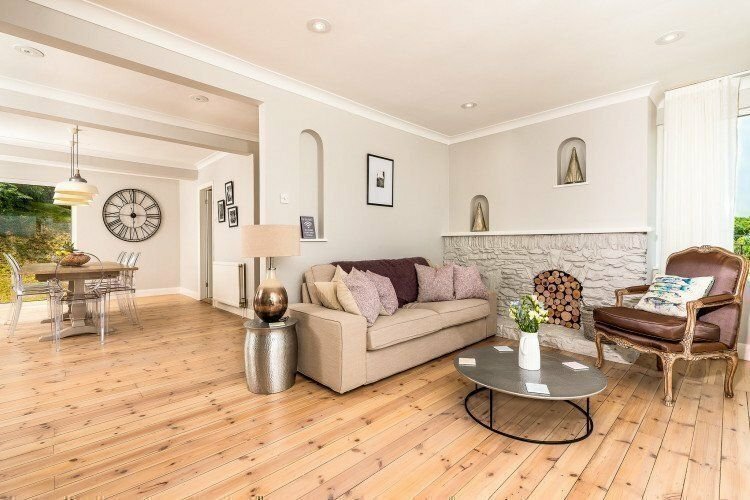 Having bought her property from Strutt & Parker estate agents, Nicola initially looked into managing all renovations and refurbishments to the property herself. However, she soon found the difficulties of managing a project from a distance insurmountable. When speaking to Strutt & Parker, she was recommended to Pebbles by Blair Stewart. Blair has firsthand professional and personal experience of both our Refurbishment and Property Management services. With less than eight weeks in which to get the property guest ready for the 2018 letting season, Nicola had a consultation with Head of Refurbishment, Katherine Spencer as well as our Property Consultant Kim Richards. They assessed the necessary changes that the property required and the path the project would have to follow, as well importantly as Nicola’s own vision for her the property. Katherine and her team put together the schedule of works, walk-through, and fee proposal. 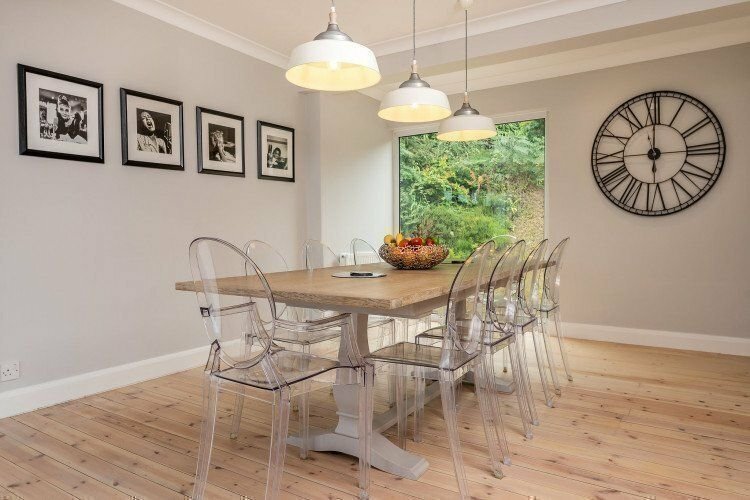 The project included fitting a new kitchen, skimming the ceilings, having new and more contemporary doors made and fitted to all the built in wardrobes and cupboards, adding new internal doors, changing the lights, carpets, floors and soft furnishings, and re-painting throughout. The refurbishment began and was completed to schedule and to budget. While Nicola enjoyed ordering some new inventory items that were needed for holiday makers to enjoy the property, Pebbles took receipt of all items and delivered them to Mapperley Lodge, where the team assembled and installed them, also staging the property in preparation for letting agent’s photos and of course the first guests to arrive. As a proactive property owner, Nicola made the most of being involved in all decision-making via regular video calls, phone calls, emails and our custom built Client Dashboard. 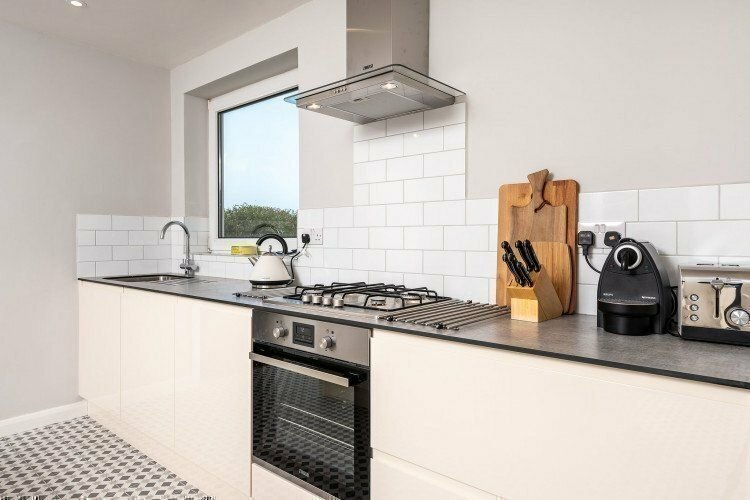 Working with the letting agent, Kim then ensured that the property was ready in time for photographs to be taken for all letting materials and necessary marketing collateral. The property’s management programme then kicked in to support the owner, guests and agent in an on-going capacity. All works and preparations were completed on time, and the property was successfully let with the first guests enjoying the property before Nicola’s next visit to South Devon. Mapperley Lodge has since continued to enjoy seamless Property Management support and has also added Gardening to their regular maintenance schedule. To Katherine, Raquel and the team at Pebbles, a huge thank you for your work at Mapperley Lodge. I am over the moon with the results and couldn’t have done it without you.